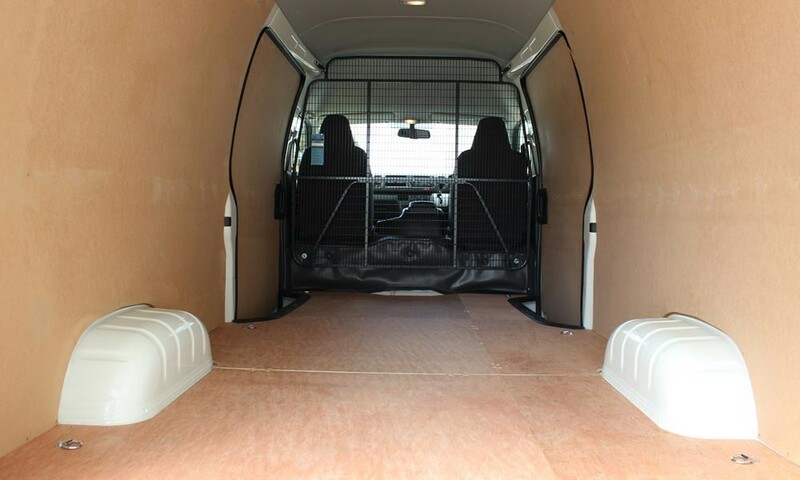 We fit out vans to fit your needs. 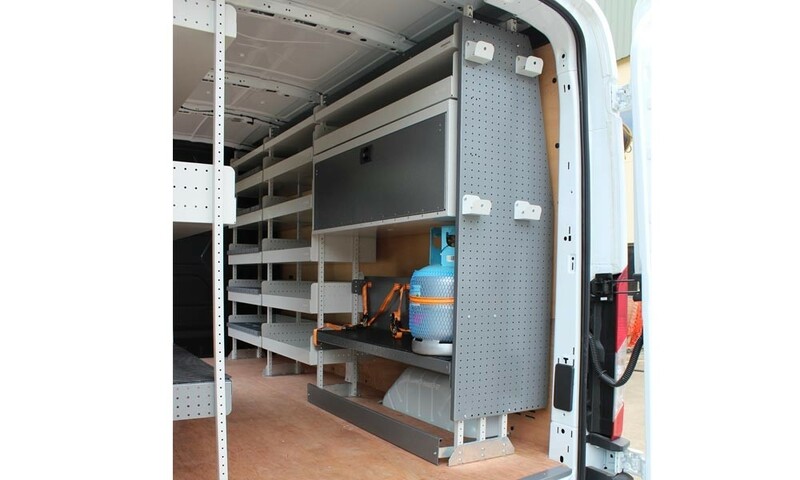 More tradespeople are choosing vans and choosing our van fitouts. 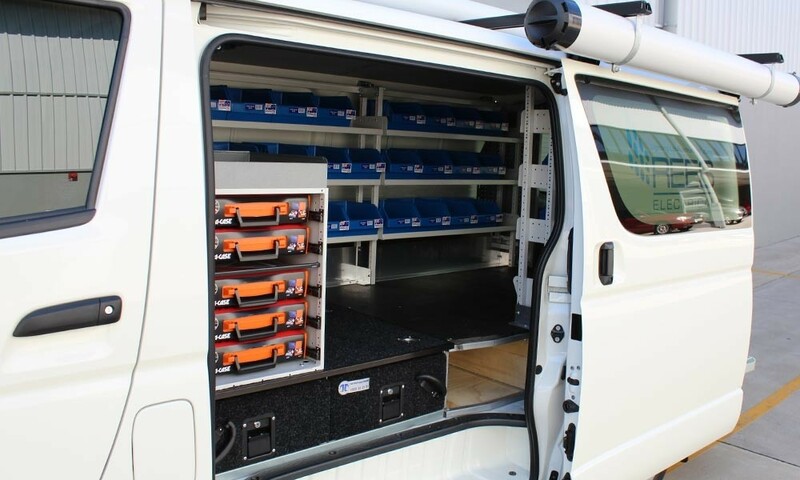 Back in the early 2000s, more and more tradespeople and small businesses were choosing vans to move and store their tools and equipment. 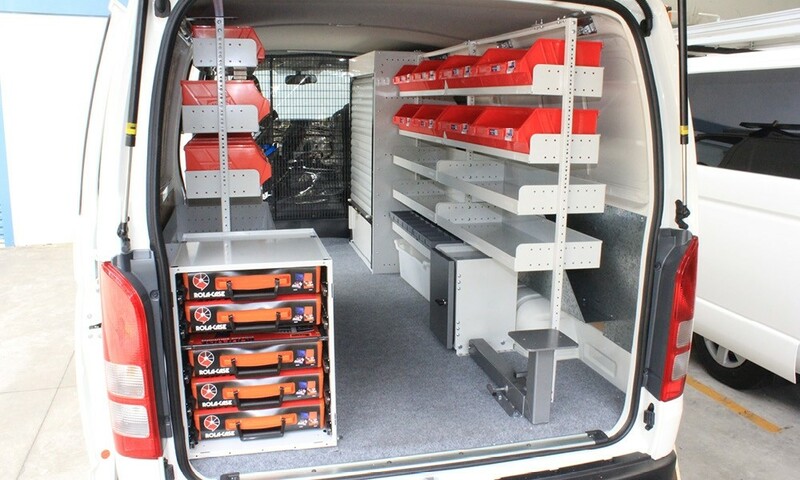 Suddenly we had customers who came to us for ute and light truck trays buying vans and insisting on a Tip Top fitout. 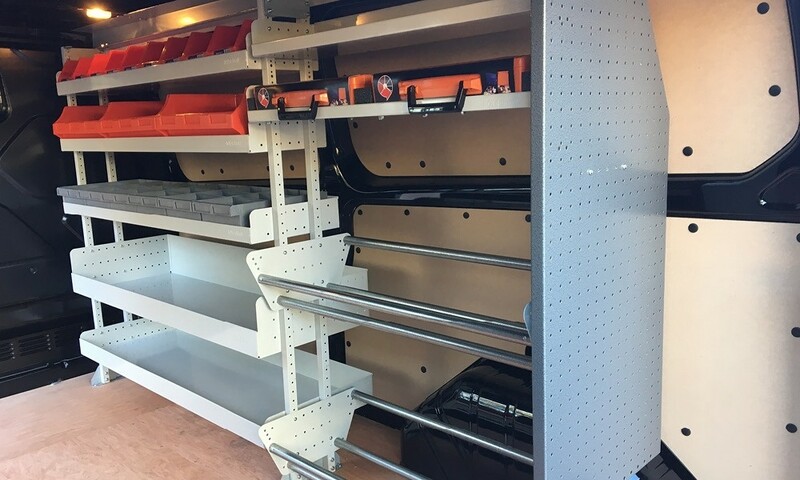 So we expanded our offering to designing, manufacturing and fitting a range of solutions to suit various trades and businesses. 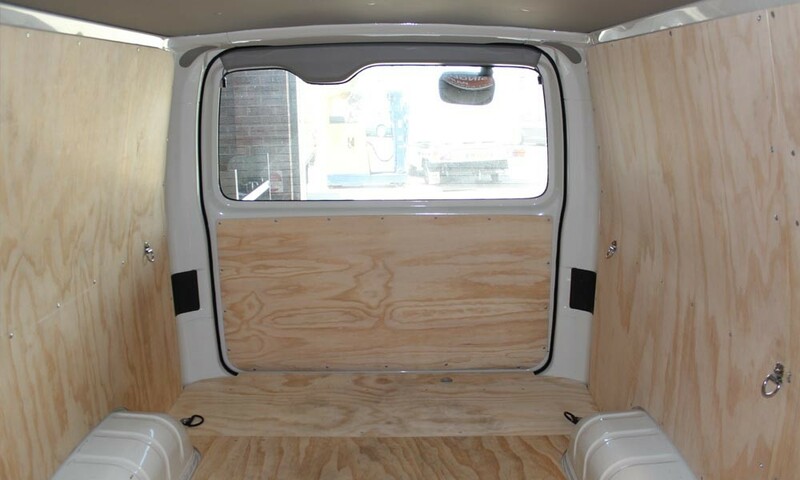 And we’re transforming more and more vans. 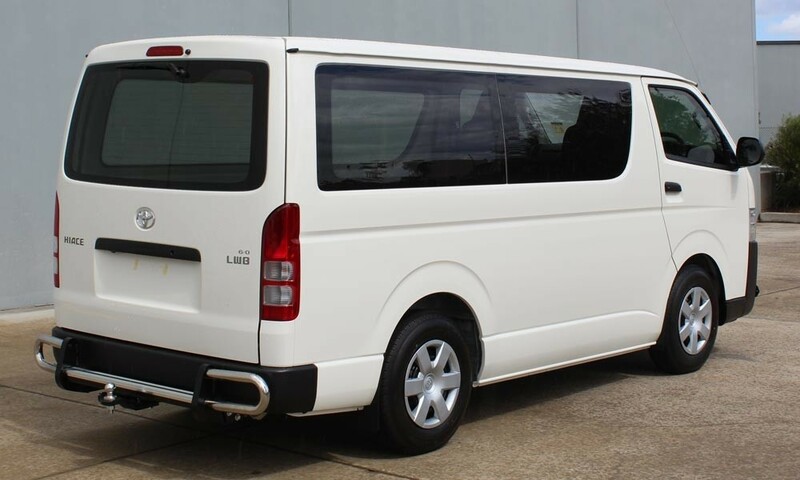 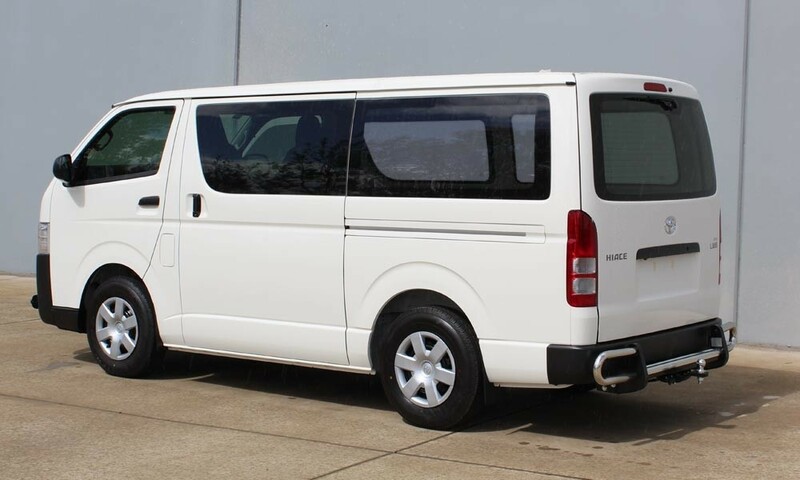 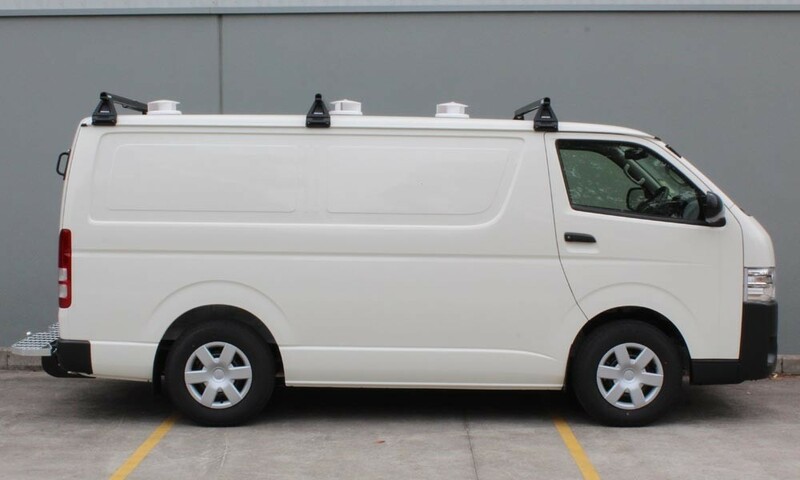 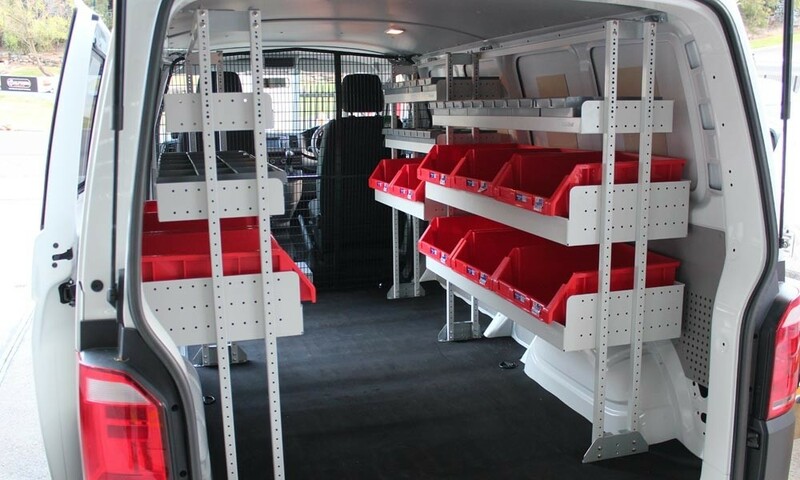 We use the same high quality standards for our van fitouts as we do for our utes, because quality is in our DNA. 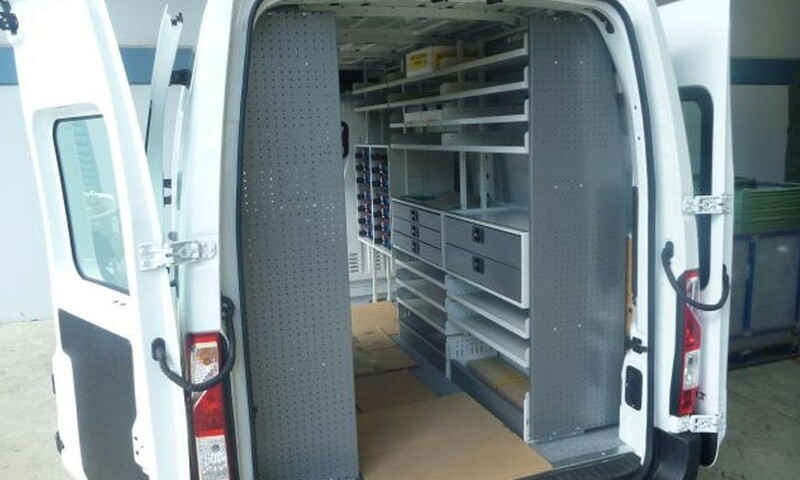 Today we offer solutions for every kind of trade, industry and van. 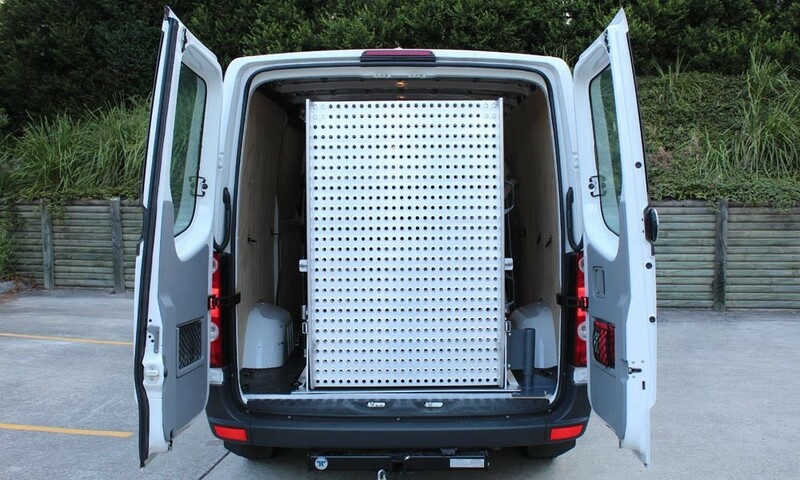 No matter what industry you’re in or what your budget is, we can help with the right advice and the right solutions. 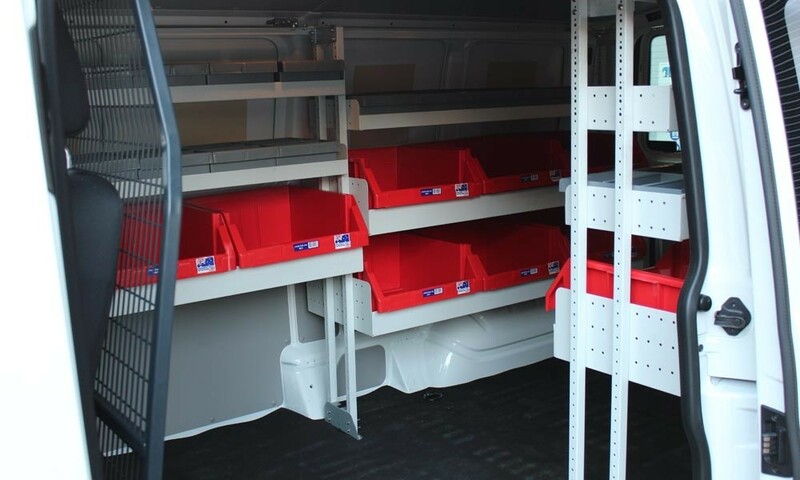 You can be sure that we offer only the very best possible quality components, which we either manufacture ourselves, or source from our well-established, well-trusted suppliers. 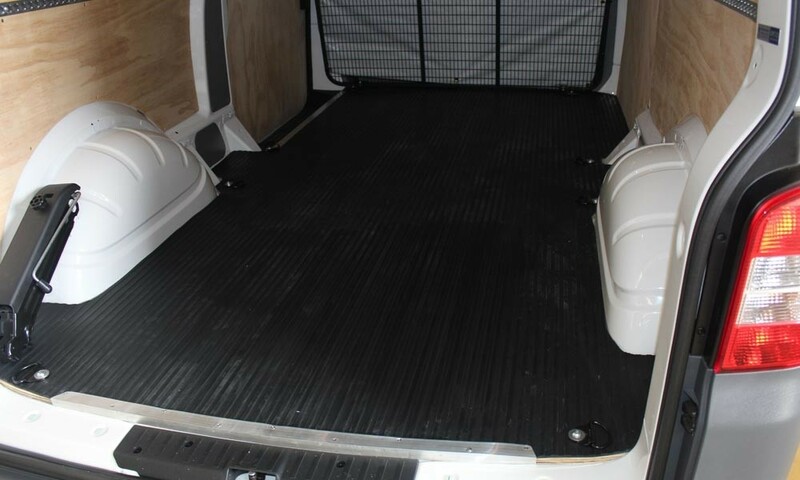 Come into our showroom and chat to us about your specific needs to see how we can help. 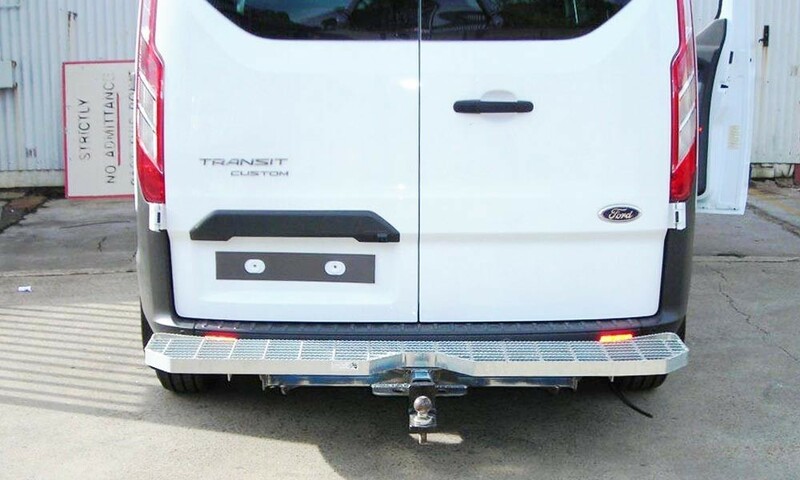 Install a cargo barrier to ensure passenger safety Our experienced staff install many barrier options depending on your application such as Mesh Cargo, Vapour Resistant, Dual Position Cargo Barrier or Air Conditioning Curtains. 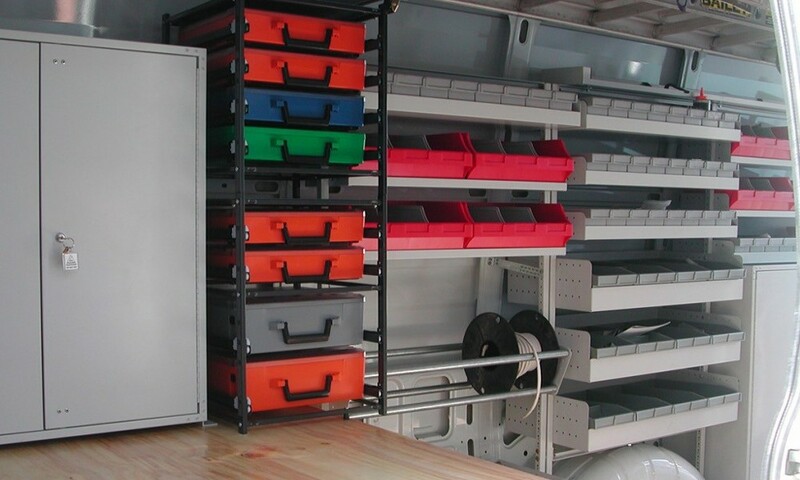 Make your workspace work harder. 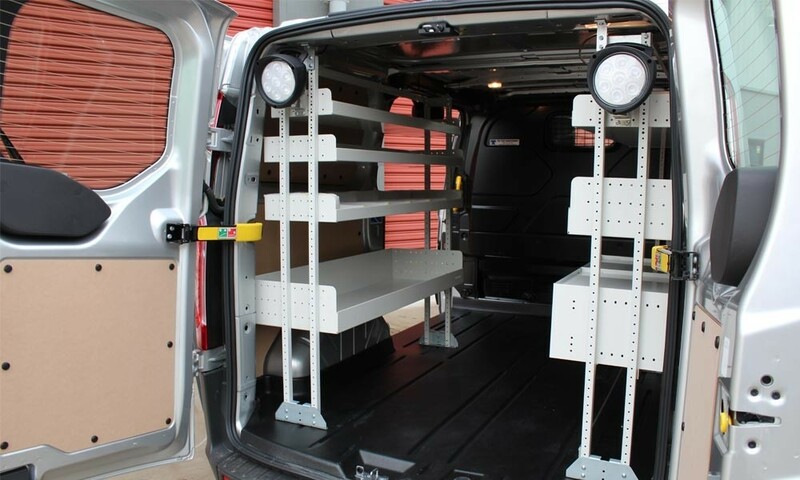 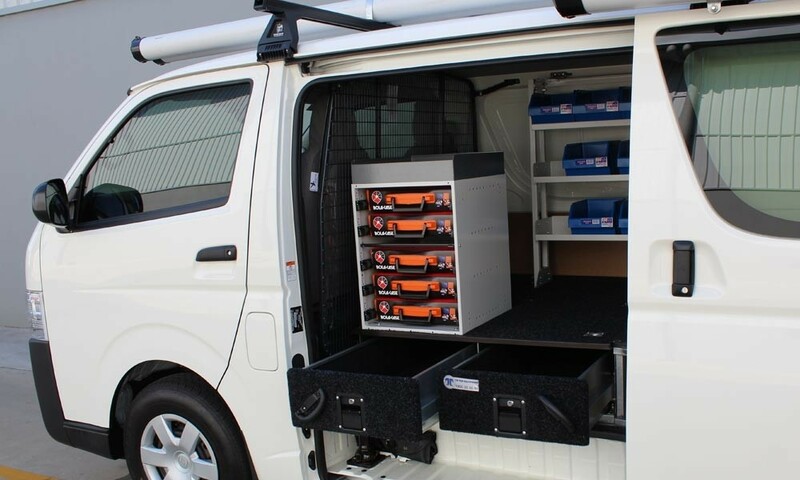 Maximise your van’s space with our Drawer Units. 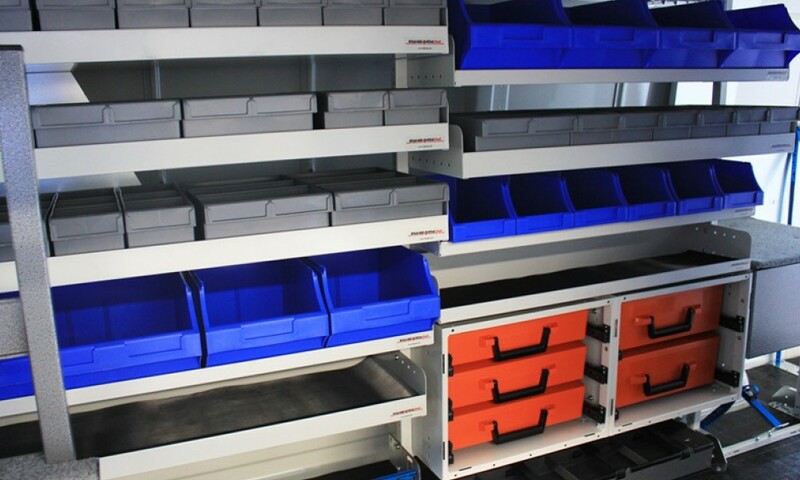 Create a false floor with extra storage space to keep your tools or your cargo organised and safe and easy to access. 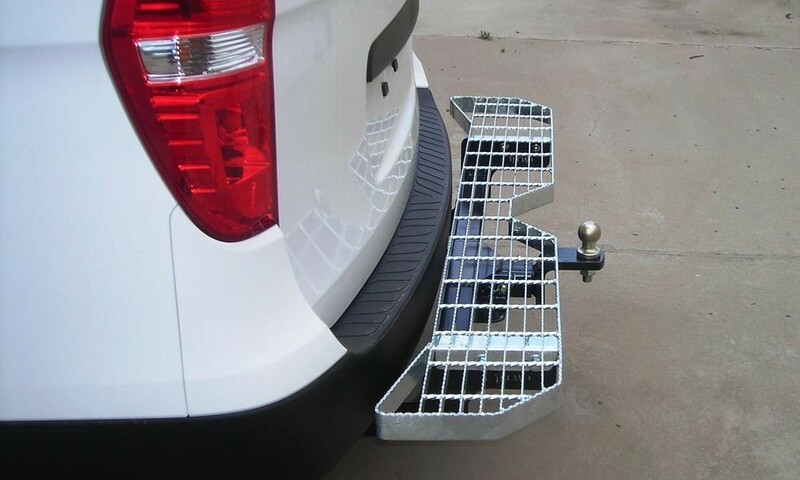 They’re built with heavy-duty runners, bearings and slam locks so they last and are easy to use. 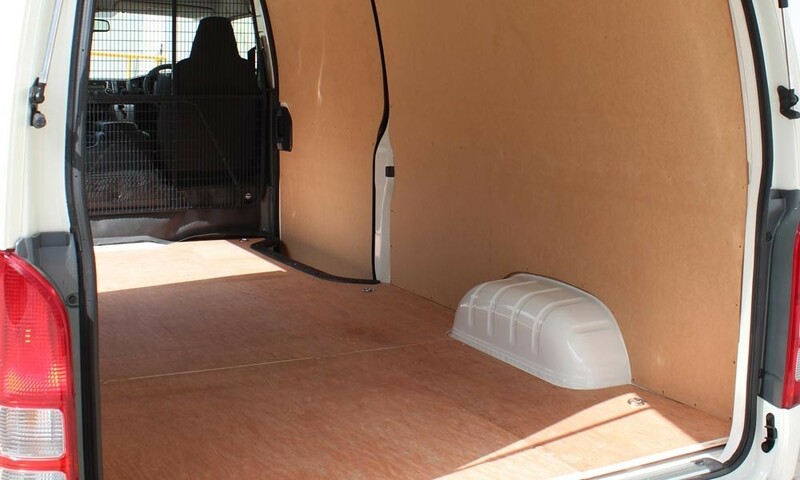 Utilise that wasted space. 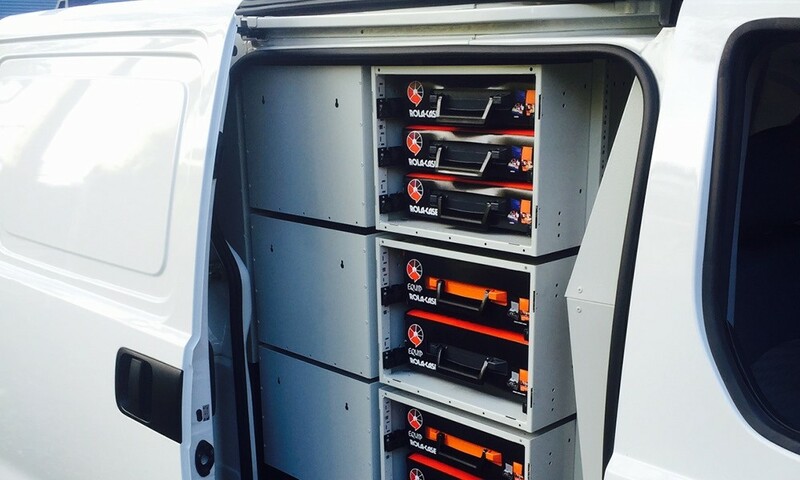 Light up your world. 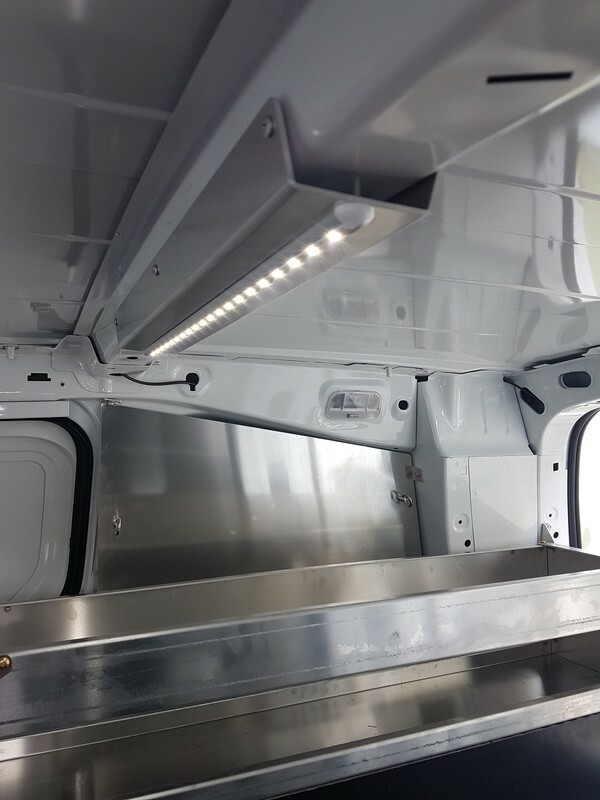 See what you’re doing and find everything faster with strategically positioned interior lighting. 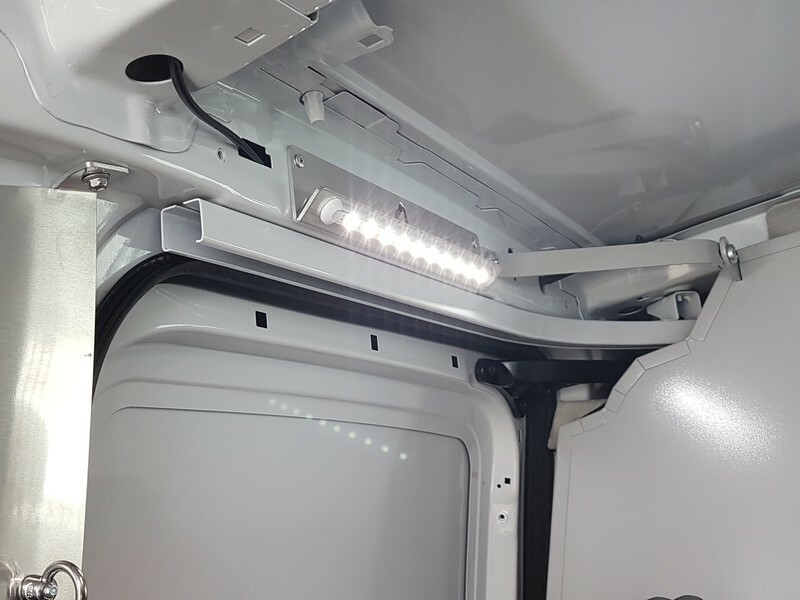 If you need LED interior lights, we can make them separately switched or switched with your interior lights. 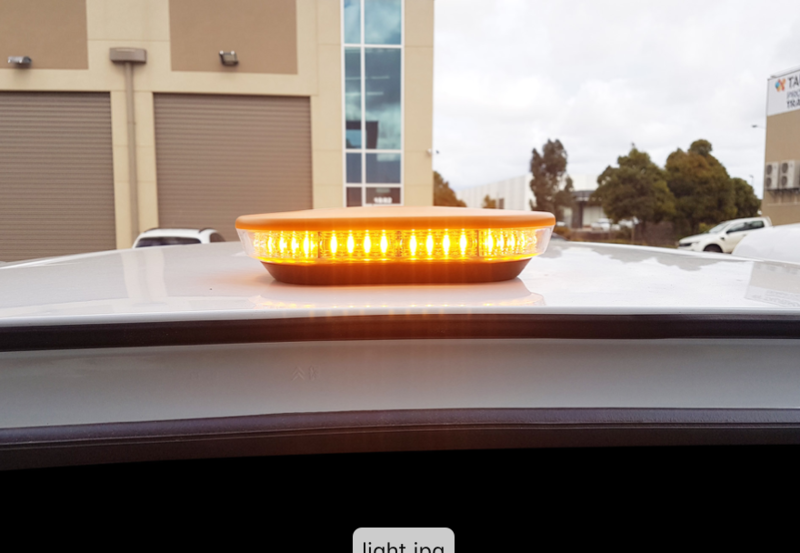 We can help with work lights, warning lights, beacons, reverse warning alarms, invertors and extra power outlets. 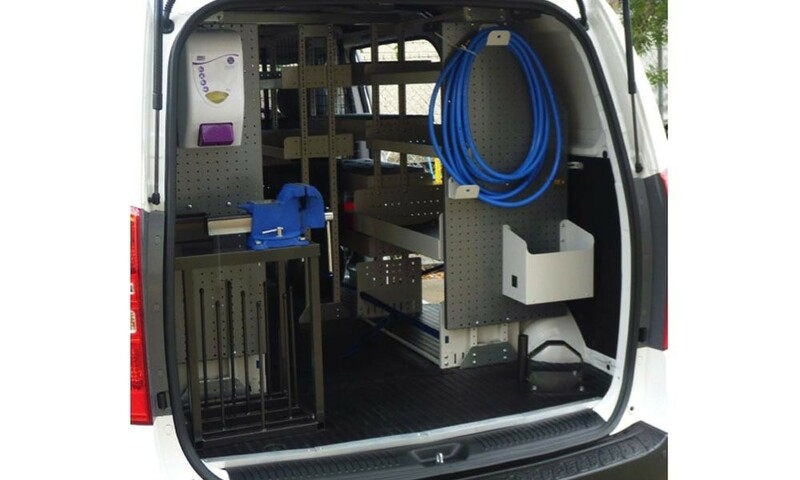 Don’t waste time and money searching around in the dark looking for tools or parts or for your torch. 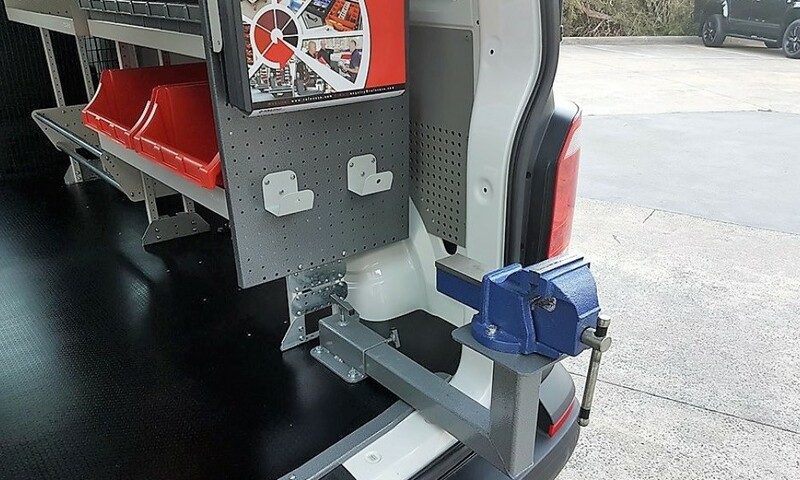 Set your van up so you can see where everything is. 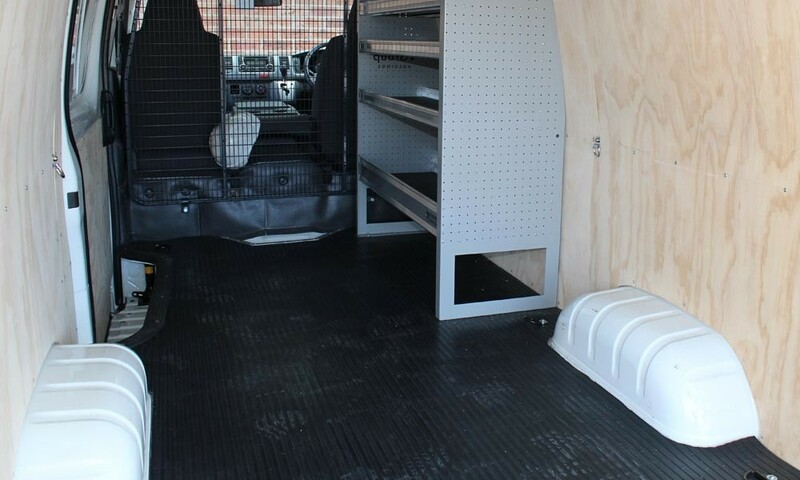 Start with the right floor Install the right kind of floor for your business and industry. 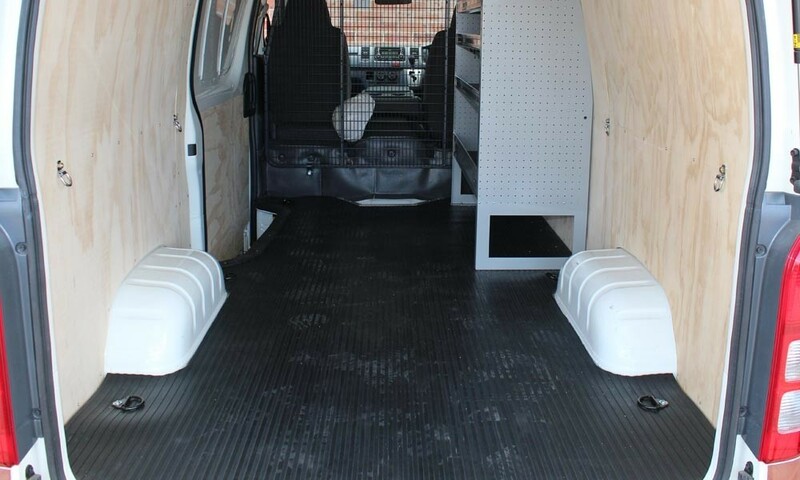 Our flooring systems offer smooth all-over finishes. 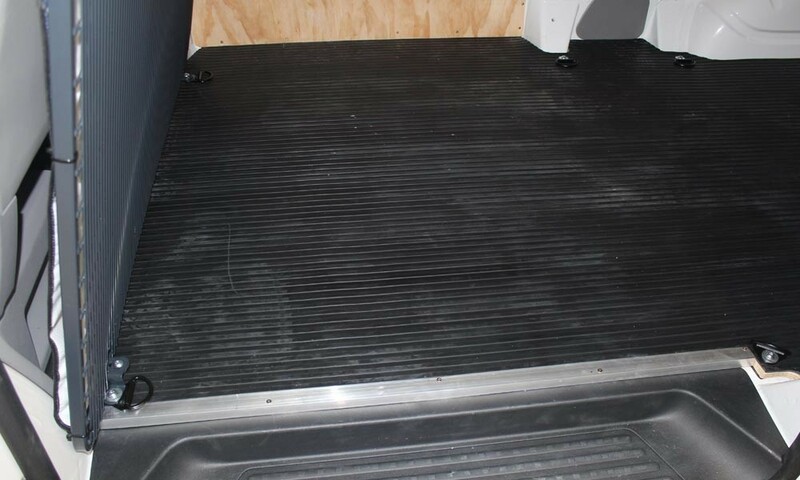 Choose from our plywood, rubber, carpet, vinyl or non-slip treads. 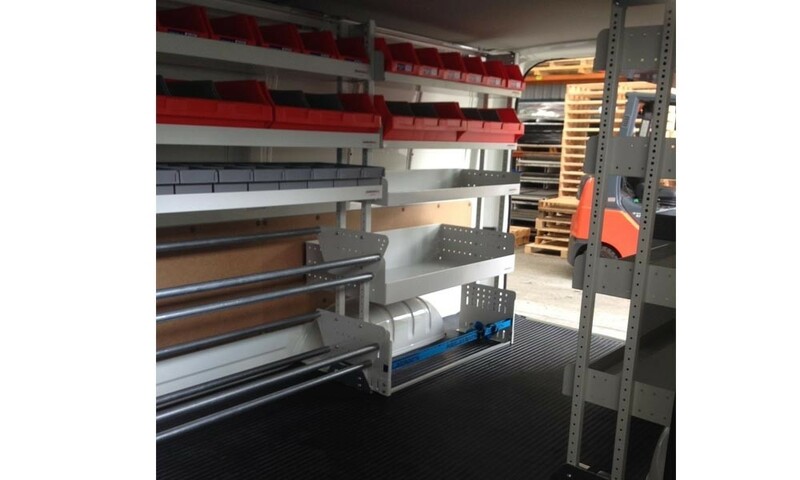 Or create a whole new storage level with our False Flooring system and secure your loads safely with our strategically located internal, tie down points, anchor points and Restraint Track. 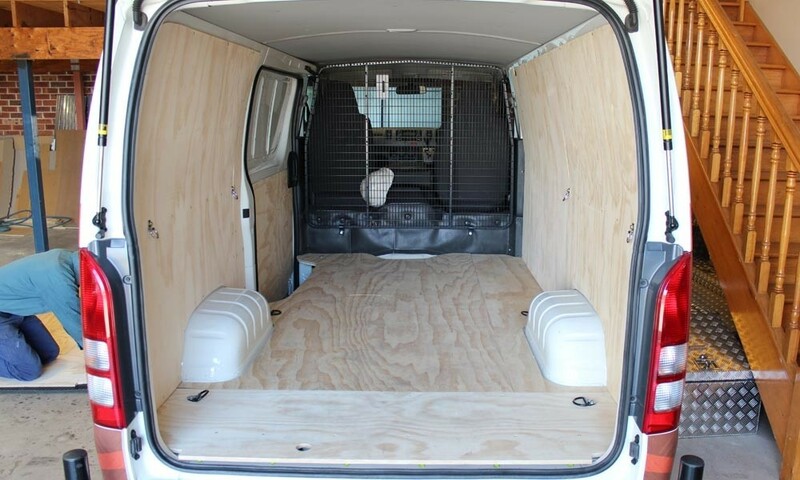 Roll up. 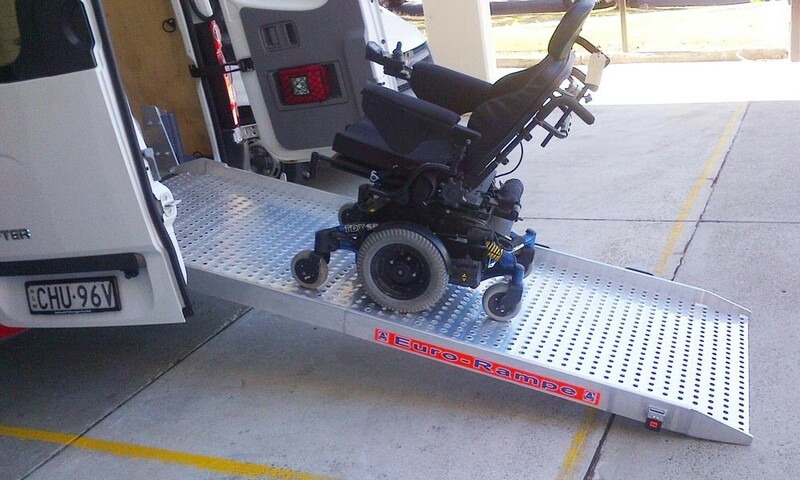 Roll down. 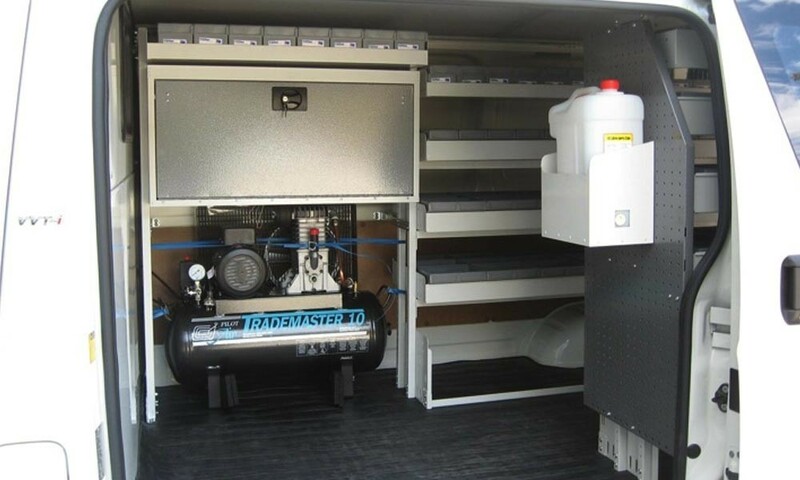 Don’t struggle with rolling cargo. 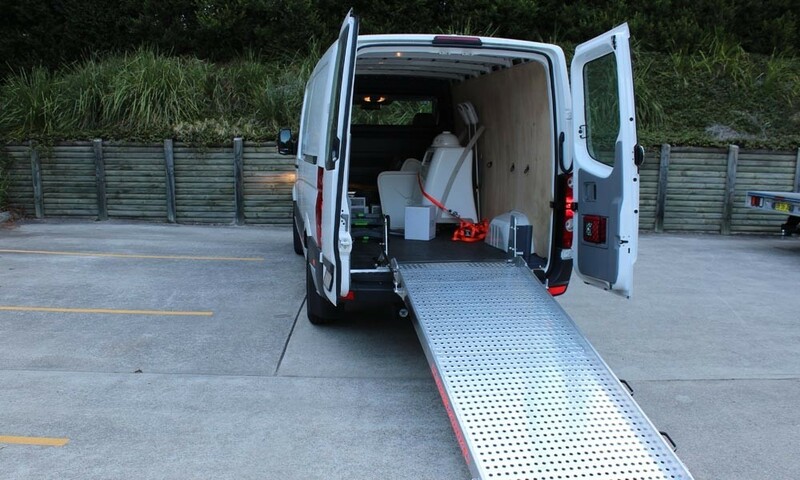 Load your van faster and easier with one of our Ramps. 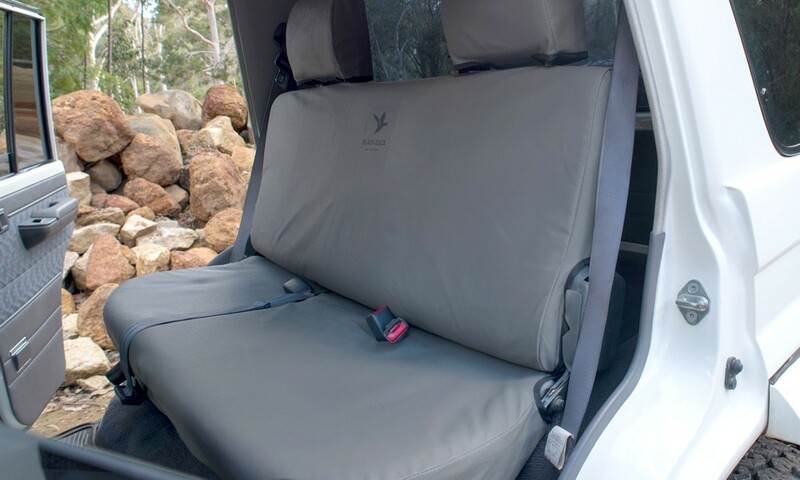 They’re constructed from tough alloy material with a non-slip surface and an adjustable bi-fold action for extra length. 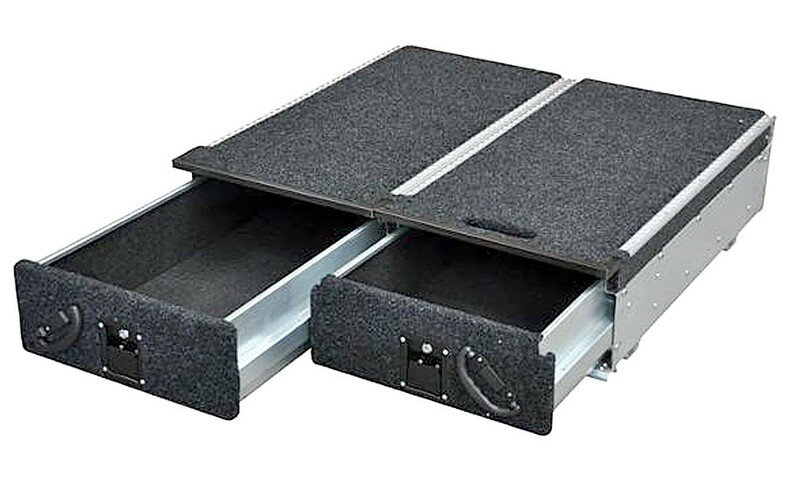 They’re a great choice for removalists, delivery drivers and anyone who needs to load and unload. 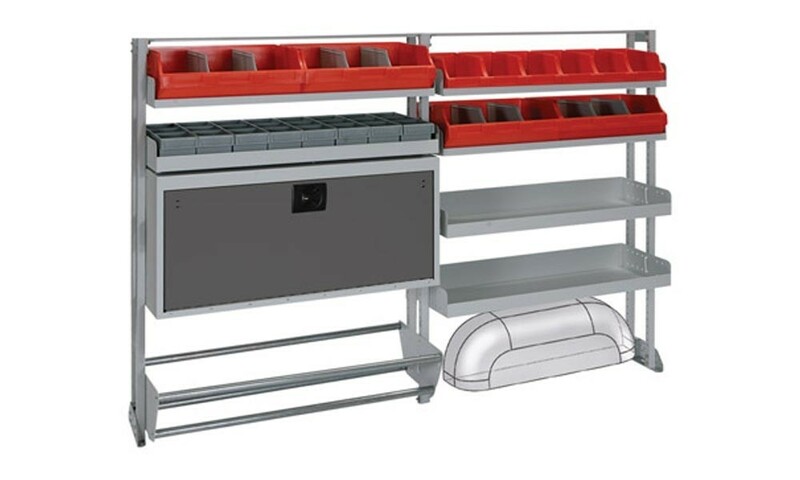 Ramp up your efficiencies. 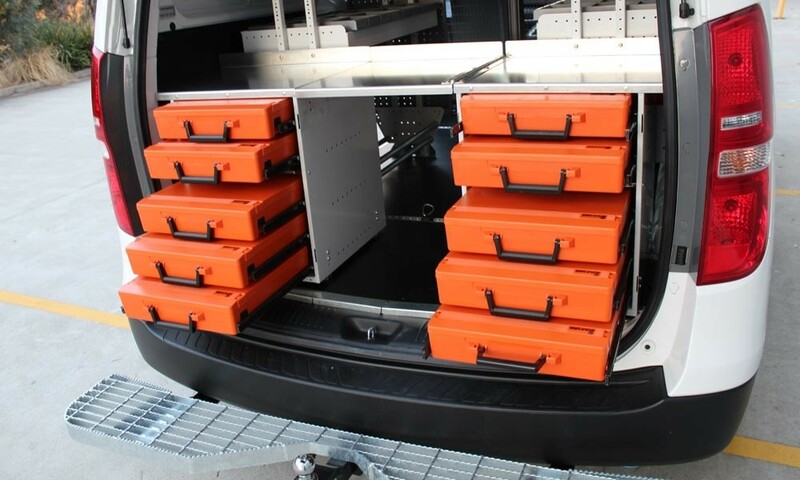 Carry more with our carriers. 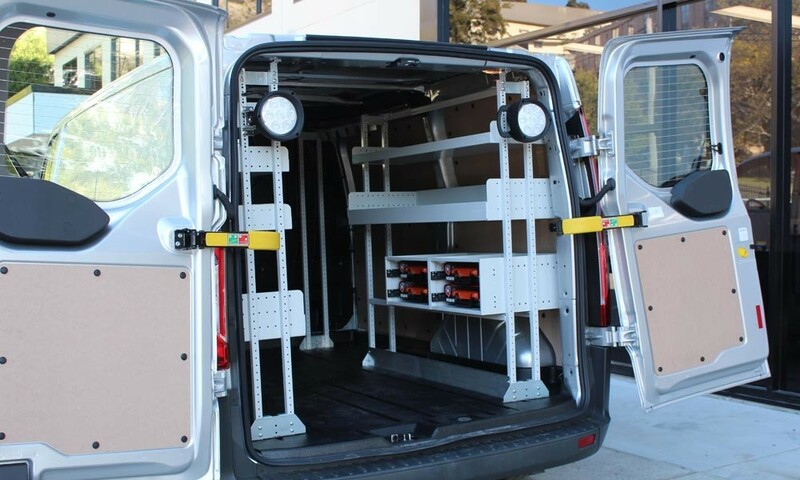 Carry more on our Vortex or Commercial bars with our ladder carriers, extension ladder carriers and conduit carriers. 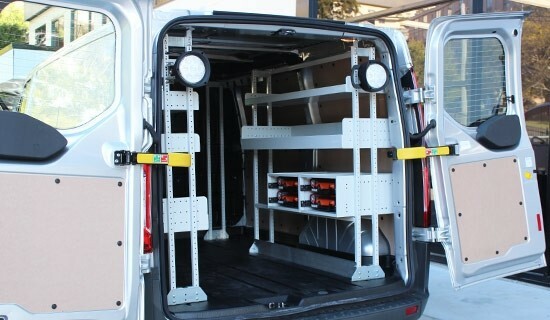 And secure your load with our restraint straps and cable locks for peace of mind. 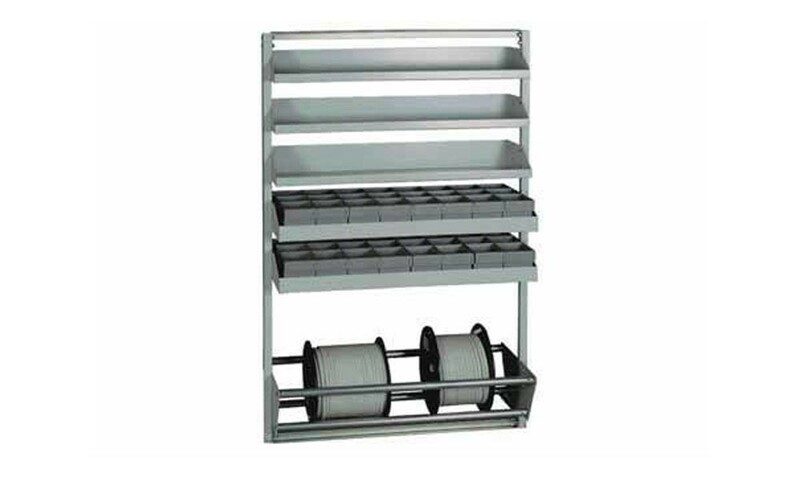 Our ladder rollers will help you to guide your ladder on and off your roof easily and safely. 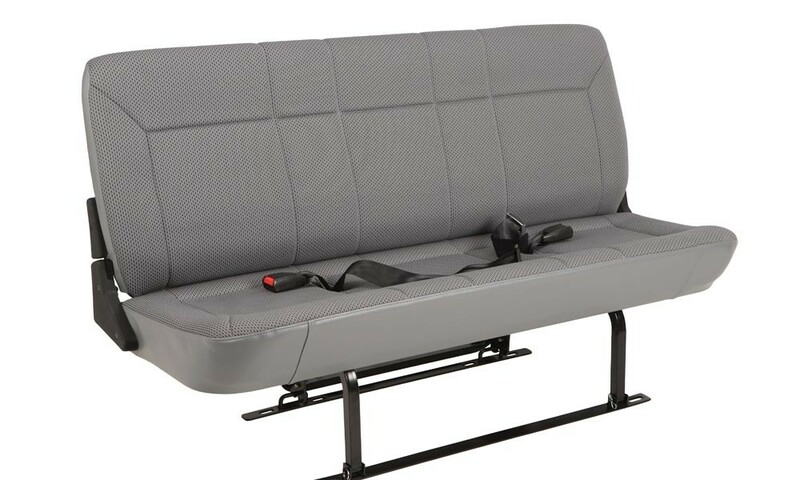 Need an extra seat or an extra row? 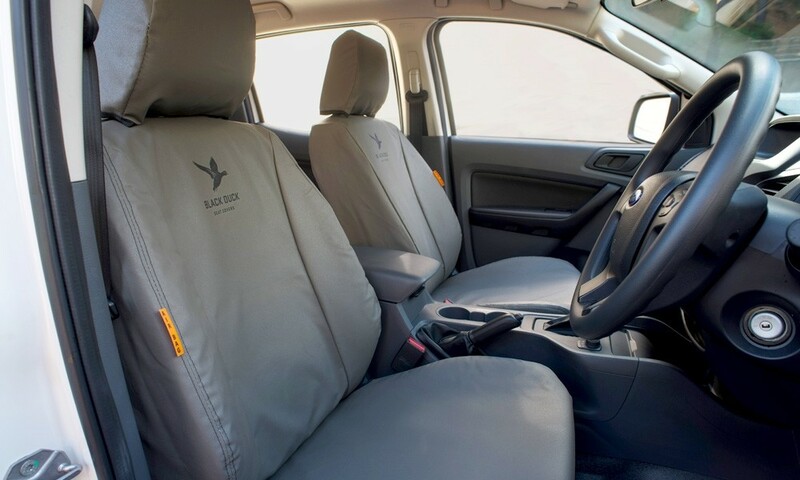 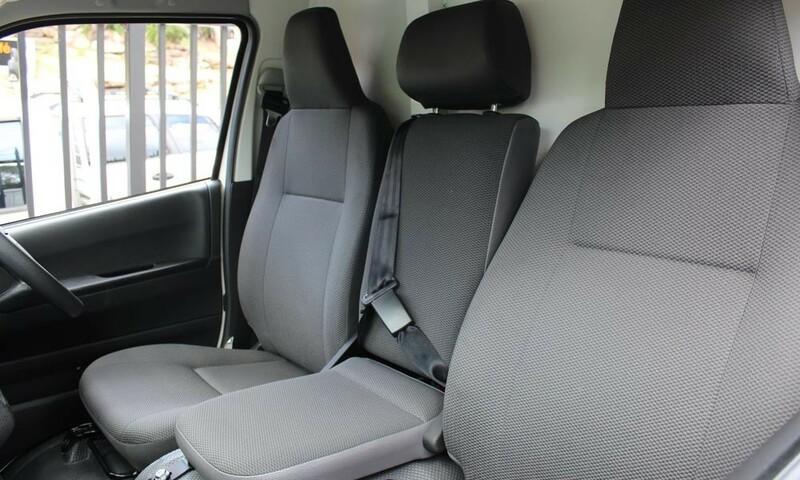 We can turn your 2-seater into a 3-seater with our expertly fitted jump seat. 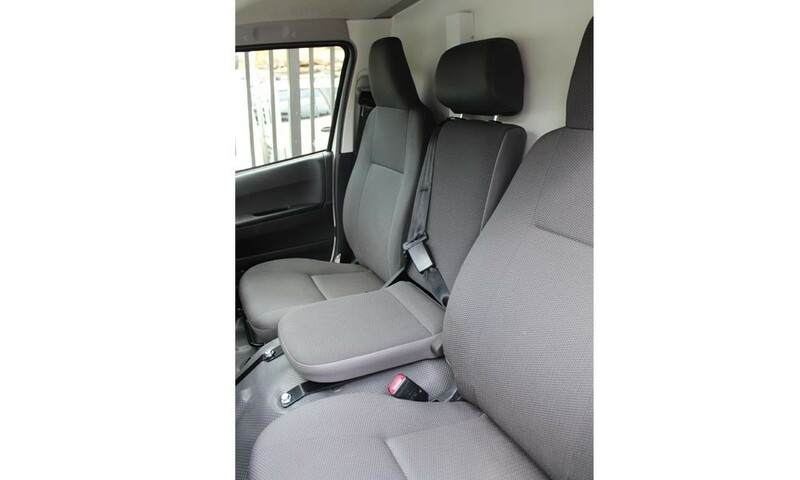 We fit it as a centre seat between OEM bucket seats. 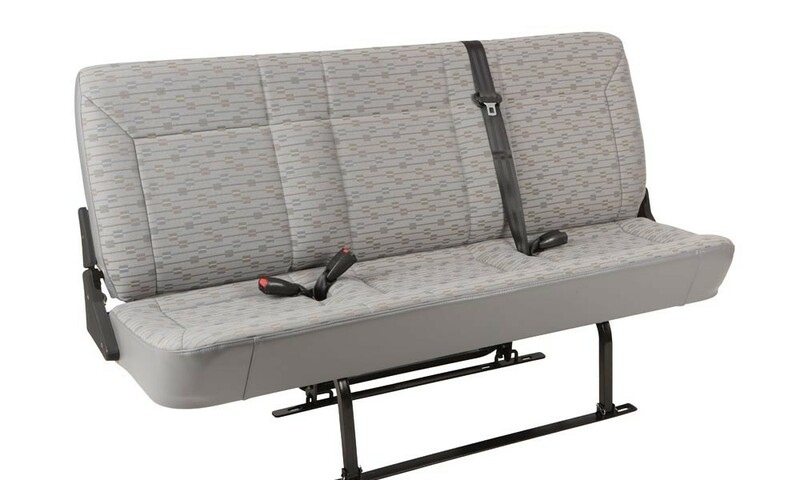 We integrate it with a 3-point retracting seat belt and OEM seat upholstery, where available, and we provide a fixed backrest as standard. 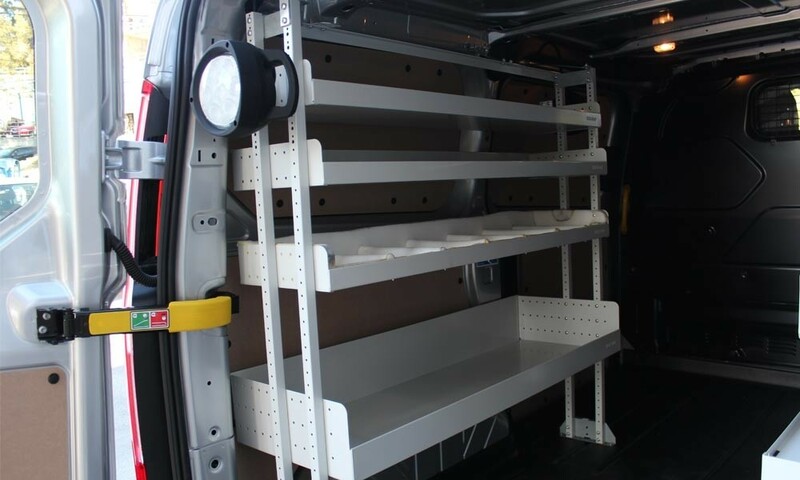 We can even add a second row of seating to your van, with either a single seat, a double or a triple that folds away and can be removable or fixed. 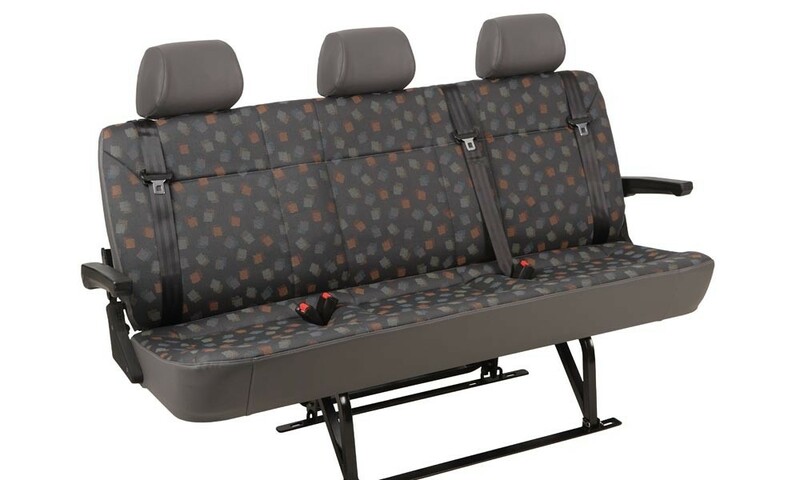 We supply classic, premier or safety excel models, with child-restraint anchorage and seatbelts. 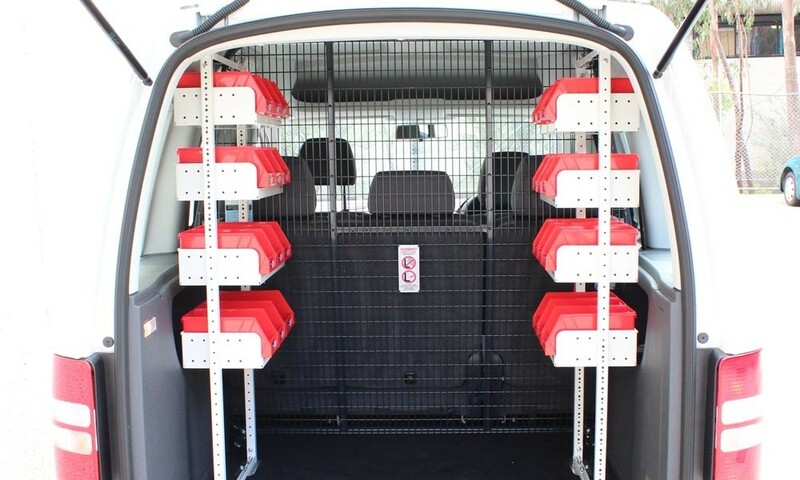 And you can rely on us to fit them so they are strong, safe and secure. 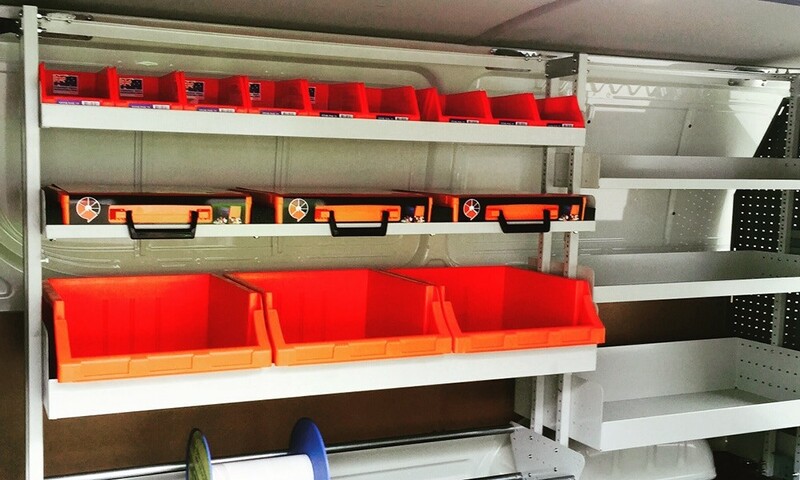 Add more space to your workspace. 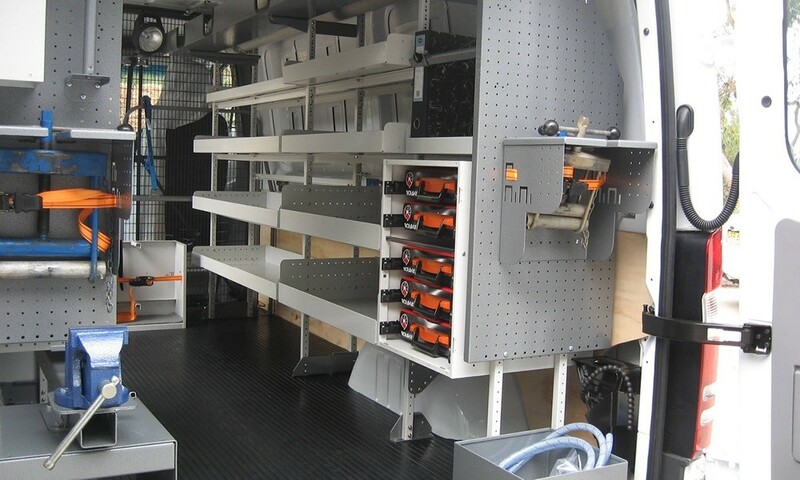 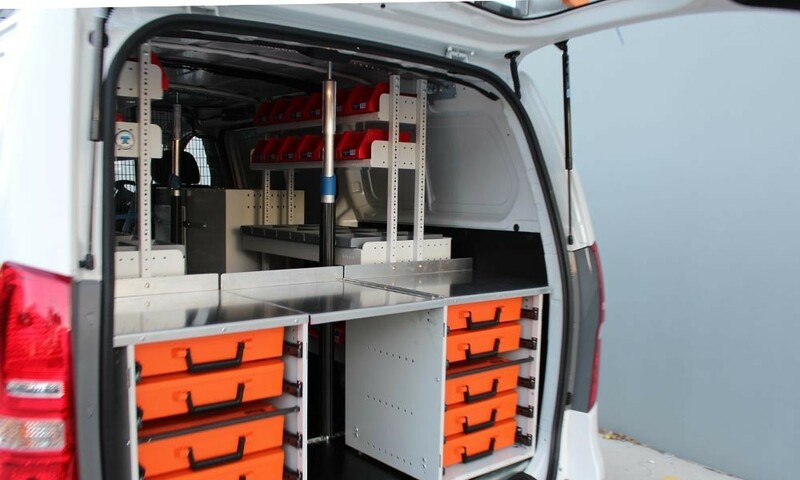 We have storage solutions for every commercial vehicle to help you organise your tools and parts so they are neat and tidy and in their place, because there’s nothing worse than searching through a tangle of tools. 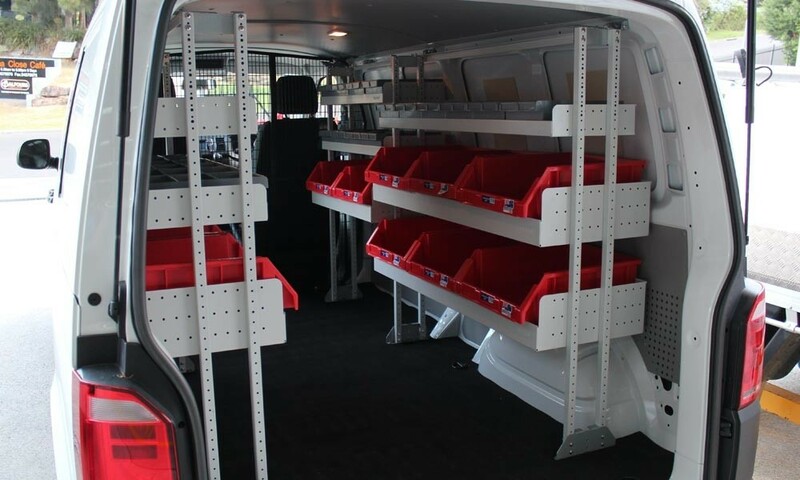 Our standard, van shelving kits come with a modular adjustable shelving range that is trade-specific and offers lift-out bins and parts drawer units. 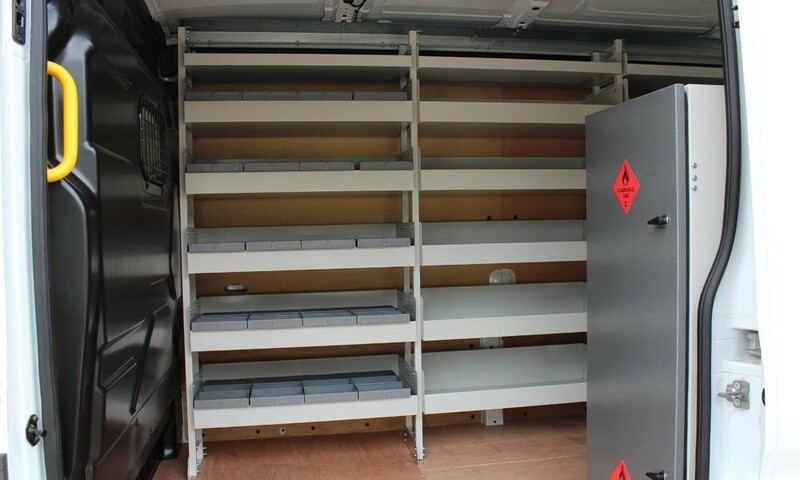 We also have WHS-compliant gas bottle cabinets that are sealed and vented through the floor, and fitted with straps to secure your gas bottles. 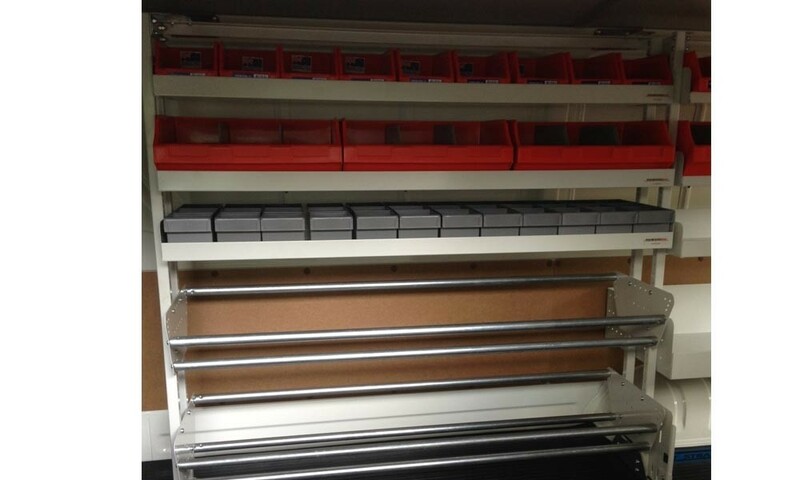 We also offer a cable reel holder shelf and first aid kits. 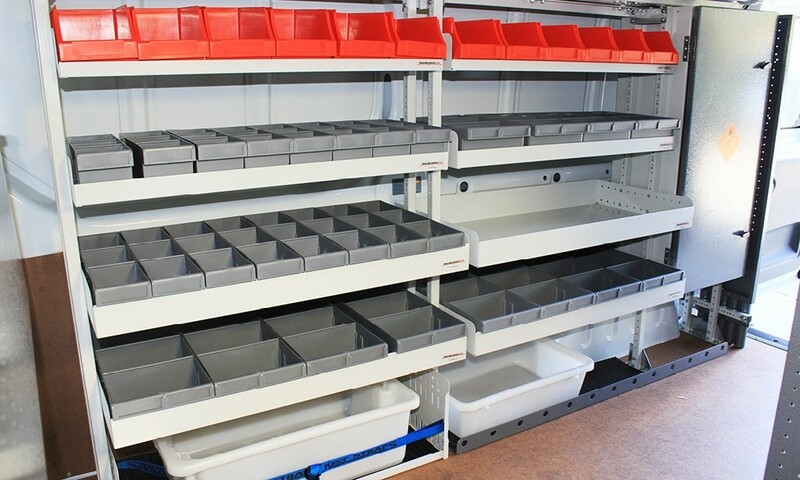 Why not utilise otherwise wasted space by insisting on Tip Top Shelving. 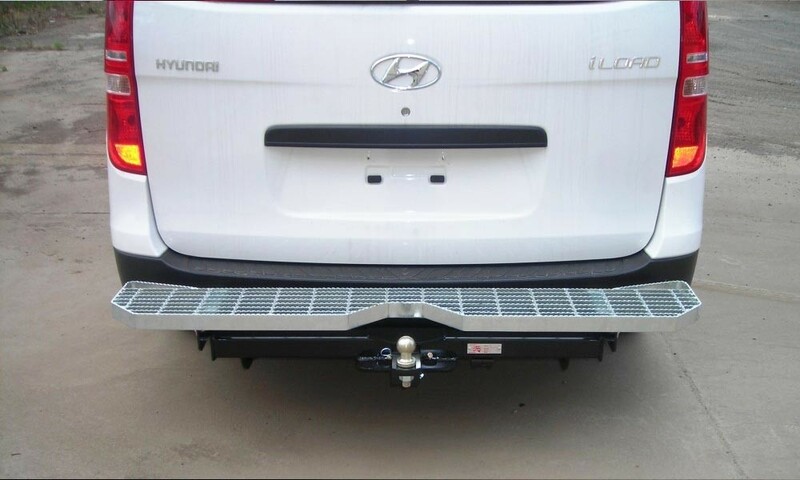 Step up safely and surely. 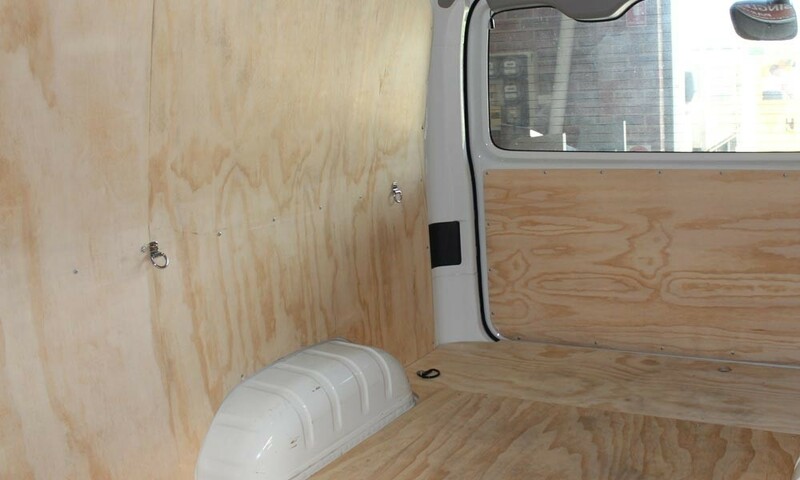 Protect yourself and your van. 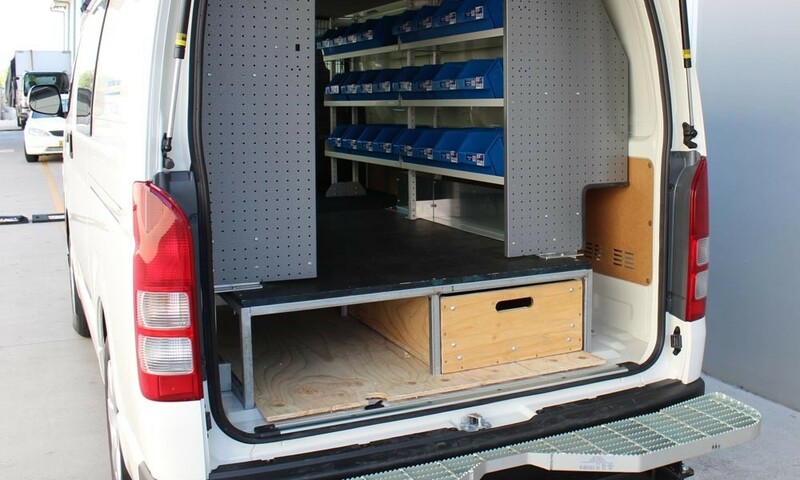 We offer a range of step solutions to help you access your van safely through either your back or side doors. 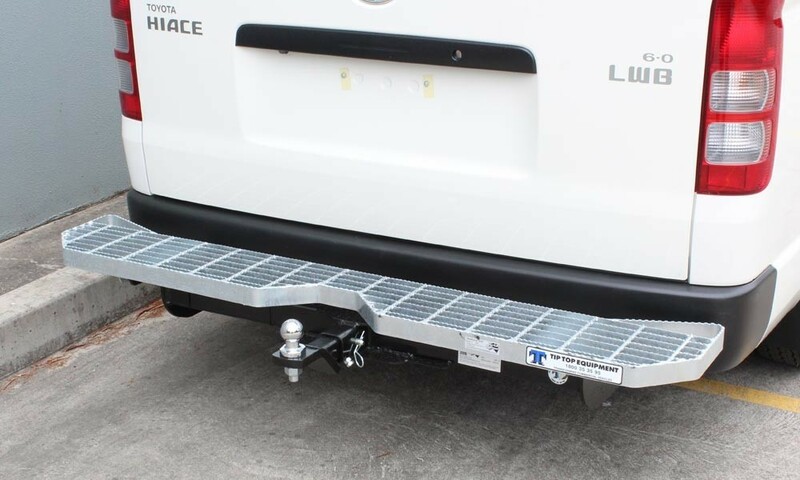 Choose the right steps for your needs from our range, including Galvanised Tech Step, Galvanised Tech Step with Tow Bar, Black Loop Step, Black Loop Step with Tow Bar, our Side Slide Out Steps and our Rear Protection Bar. 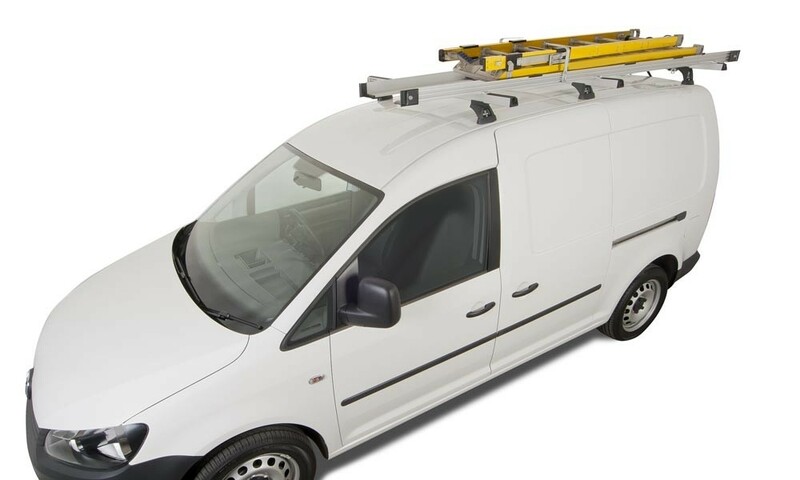 Protect your windows from braking and breaking. 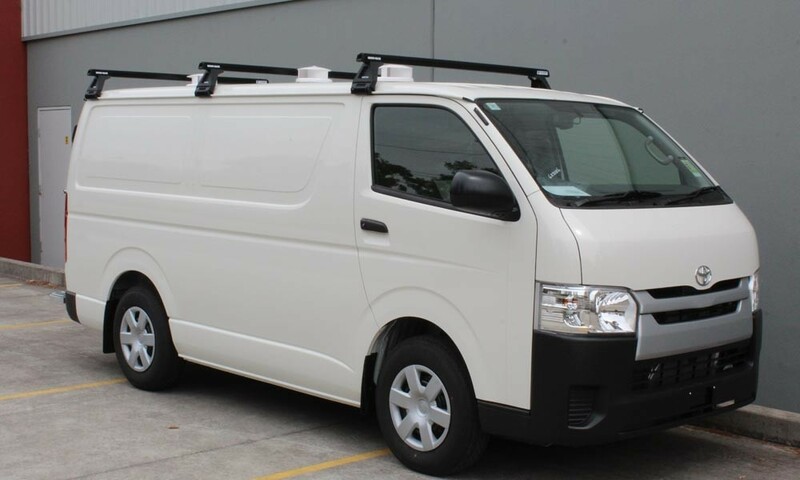 Choose from our Bonded Window solutions for fixed windows or sliding windows. 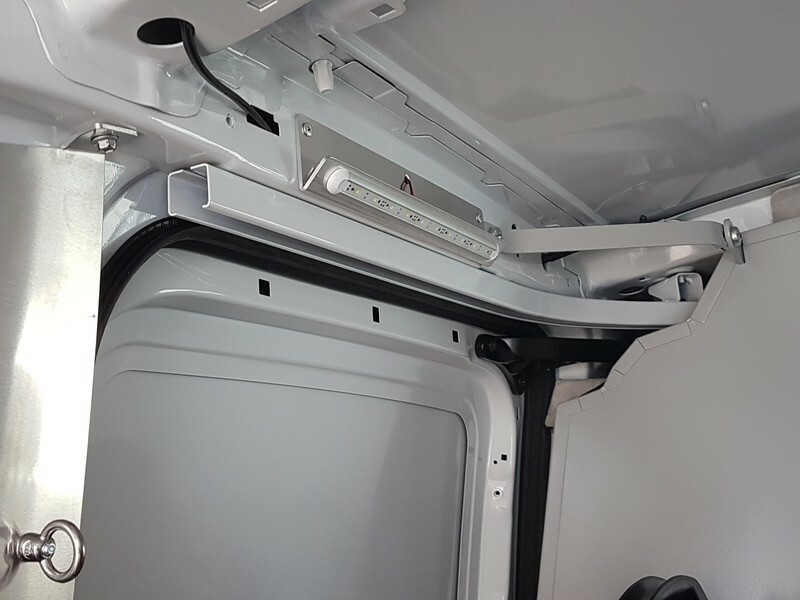 We supply and fit for Left Hand Front, Right Hand Front, Left Hand Rear and Right Hand Rear windows. 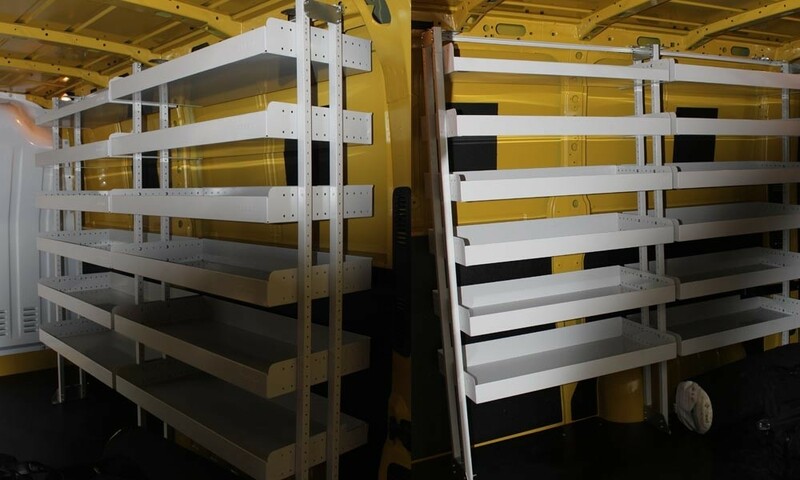 We use glass that matches your ‘genuine’ windows. 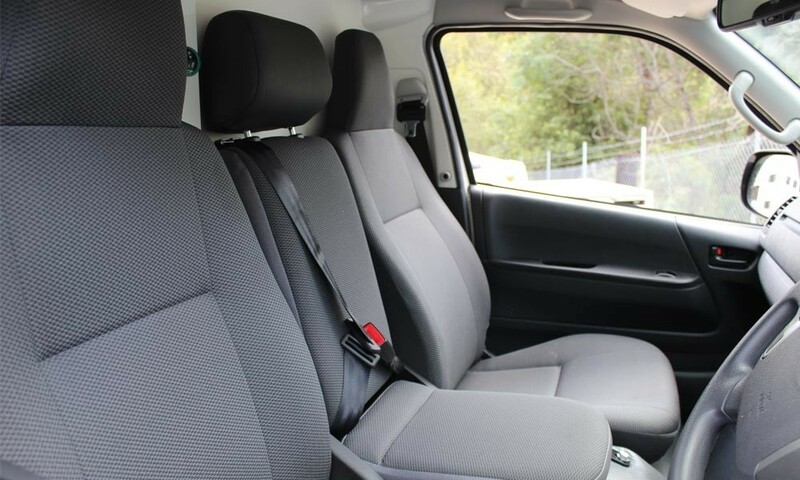 They can add more natural light, eliminate blindspots, or just add to the view if you’ve added an extra row of seats. 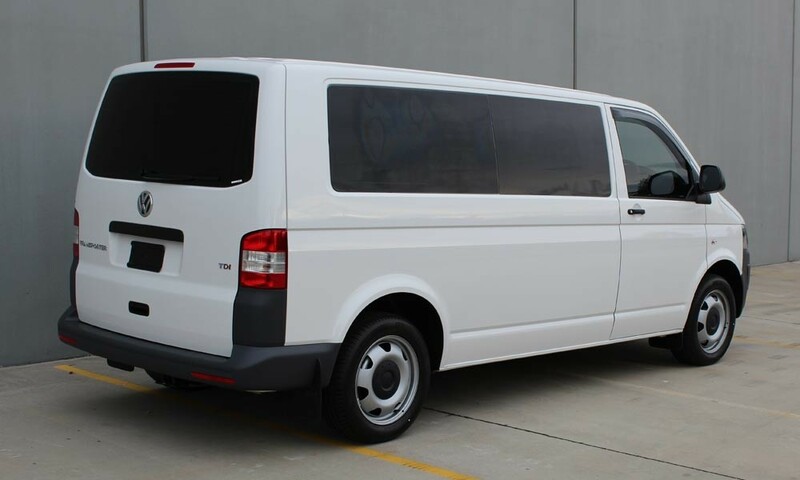 We can also add window tint to all your windows. 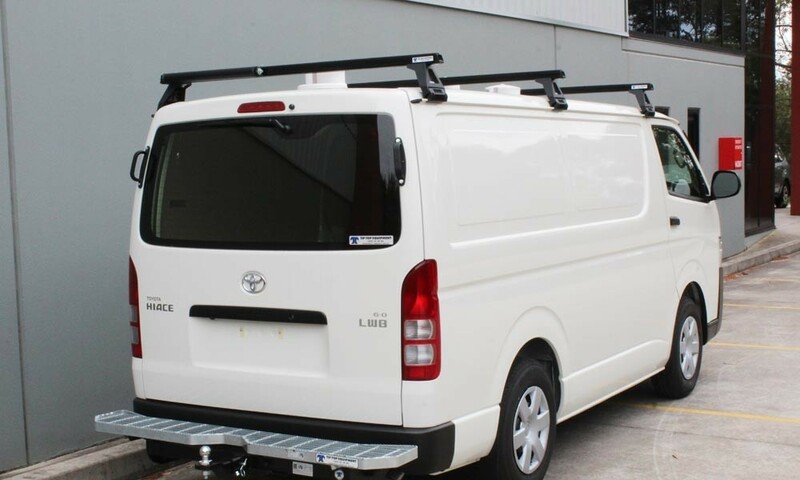 Protect your windows from being damaged by cargo suddenly shifting inside your van, with our Side Window Guard, our Rear Window Guard and our Security Guard.